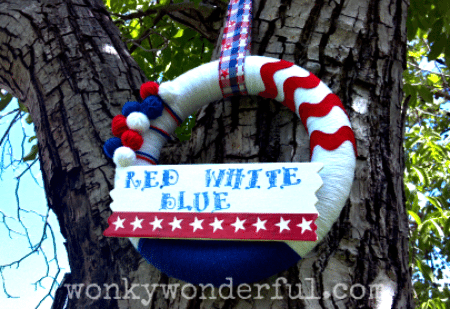 I finally completed my Independence Day wreath project … Hooray! 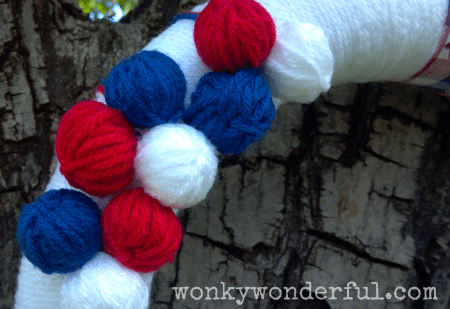 I have been running a little behind on all of my Fourth of July crafts.I didn’t take step by step tutorial pictures because this is my first wreath project and I was fumbling with it throughout the entire process. Also when I began I didn’t have a clear plan in mind so I was a bit scattered.For my first wreath I think it turned out acceptable. I definitely learned what not to do the next time I make a wreath. Maybe I should have visited a couple diy wreath tutorials myself, it would’ve saved me some time. I chose to do a yarn base with cheap craft yarn. I wrapped the yarn around the wreath while gluing it down with craft glue. This process took much longer than I anticipated … maybe I’m just a slow yarn wrapper. I made these cute miniature yarn balls by winding the yarn around itself while rotating until I got the size I wanted. I then cut the yarn leaving a long tail. After threading the tail through a yarn needle I secured the loose yarn to the ball with a knot. I then used the needle to weave the yarn in and out of the yarn ball several times, leaving the tail in order to attach it to the wreath. The sign was an unfinished piece of wood that I painted white. The red border with star cutouts is actually scrapbook paper that I trimmed to fit then Mod Podged onto the wood. 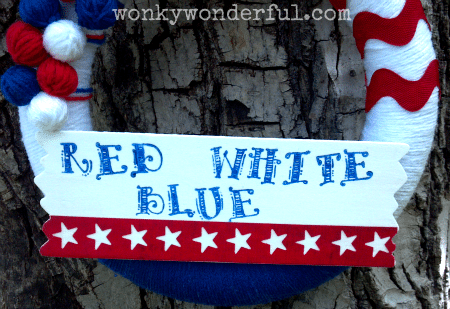 Next I used alphabet rubber stamps and blue paint for the words Red White Blue. Then one last coat of Mod Podge.Lastly, I attached red ric rac trim with sewing pins as well as the scrap of cloth to hang the wreath.So there you have it! My slightly over-complicated, somewhat tedious but extremely Cheerful and Patriotic Wreath. 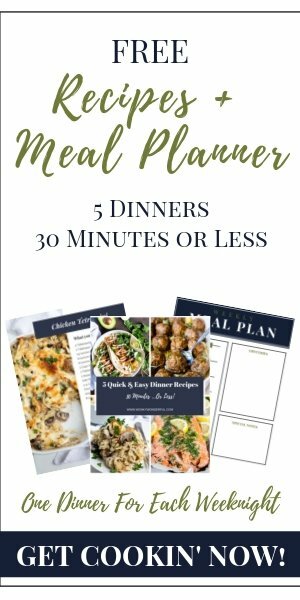 If you have any questions or need clarification on one of the steps I am happy to help. Please leave a comment or email me at wonkywonderful@gmail.com. Thanks for stopping by to check out my wonkywonderful wreath.